Serge Blanco claims the defiance of the Rugby Football Union and the undermining of his country's domestic championship are the reasons behind the decision by French clubs to boycott next season's Heineken Cup. Former France full-back Blanco is the president of France's Ligue Nationale (LNR), the organisation that oversees the top French clubs, which yesterday voted 14 to three in favour of turning its back on Europe's leading competition. The rebellion has been possible for a while, with French clubs unhappy about the effect the World Cup - which begins in September - will have on its domestic programme. 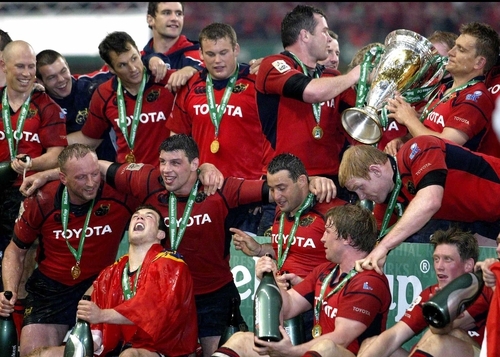 Matches in the Top 14, France's domestic league, will be played throughout the duration of the 2007 World Cup, but the Heineken Cup will only begin when the showpiece finishes. The LNR are also disgruntled about the alleged actions of the RFU, whose internal dispute with Premier Rugby, Blanco and his cohorts claim, is threatening the future of European competition. Blanco alleges the RFU went back on an agreement to split its shareholding equally with the Premiership clubs, which happens in France. Blanco told French daily L'Equipe: 'It is especially the blockade of the English federation (RFU). 'In negotiations, it was agreed that the French, English and even Italian leagues become shareholders. If the RFU, who initially were in agreement, like the FFR, agreed to give over 50% of its share to the clubs, we would talk. But it has refused. The LNR today released a statement, saying: 'Due to the gravity and urgency of the situation, the LNR has consulted with all the presidents of the Top 14 clubs.